Cambria® | R & D Marble, Inc.
Cambria® is created from all-natural quartz, one of the most common minerals in the Earth’s crust. It comes in an amazing variety of designs, including those that look and feel like marble, granite and a variety of other quarried stones. Due to this product’s nonporous natural strength, it provides superior strength that will not absorb food or liquids like granite or marble. Best of all, this surface is maintenance-free. Imagine entering your home after a satisfying and productive day. You feel a sense of pride as you see the many ways Cambria® is reflecting your tastes. Whether you enjoy formal uptown elegance, country club chic or a version of ranch style, this beautiful stone helps you create the mood you desire in your new or newly designed home. You can see your style on every stone surface including the kitchen countertops, living room fireplaces, bathroom shower, and tub and your personal favorite, the dual sink bathroom vanity. These quartz countertops and surfaces provide an amazing variety of design opportunities and give you as a homeowner, an occasion to display your natural interior design skills. Use Cambria® to express your joy, set a mood or reveal your playful nature through our beautiful color palette and rich styles and shapes, all designed for practical excellence. Quartz is a natural choice: A fact is that quartz in Cambriav is twice as hard as granite. It is this quartz that gives this surface its incredible strength, durability, and long-lasting beauty. All of Cambria® products are made in the USA and because of this, we have access to the best and latest research, technology and quartz innovations. We use our superior technology and processing knowledge to blend natural quartz stone into Cambria’s many distinct colors. This results in an exceptional stone surfacing material which we proudly call Cambria®. Quartz is your safe choice: As hard as Granite is, it is only made from 40% to 60% quartz. The remainder is composed of other softer minerals, and by nature includes faults, cracks, and impurities. Granite is an absorbent stone and when used as a countertop it must be sealed frequently with a compatible chemical sealant. 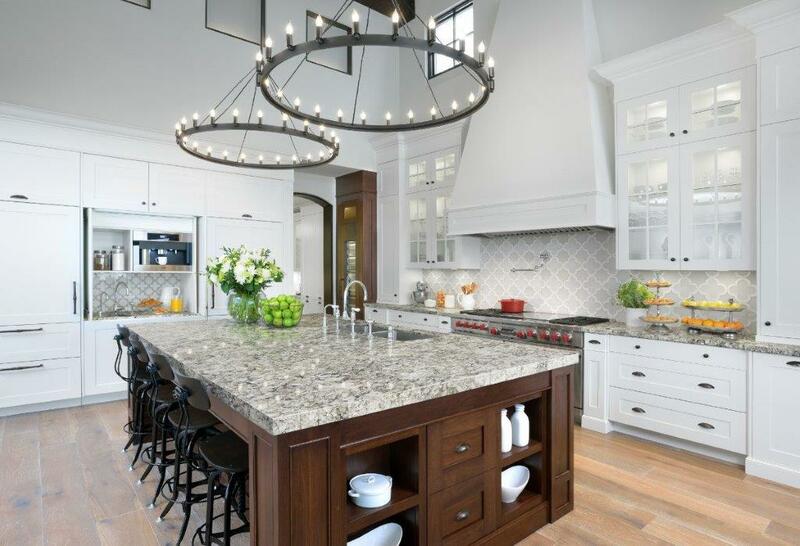 Granite absorbs liquids and food which provide an opportunity for both staining and bacterial growth in and on a granite countertop or fixture. Cambria® is responsible: Cambria® produces a resilient and durable material which is in harmony with our corporate commitment to stewardship of the Earth’s natural resources. Cambria® is certified by GREENGUARD to be a low odor emanating product suitable for excellent indoor air quality and accepted for use in school environments. It has also been tested for radon, a naturally occurring carcinogenic gas, by Air Quality Sciences, Inc. 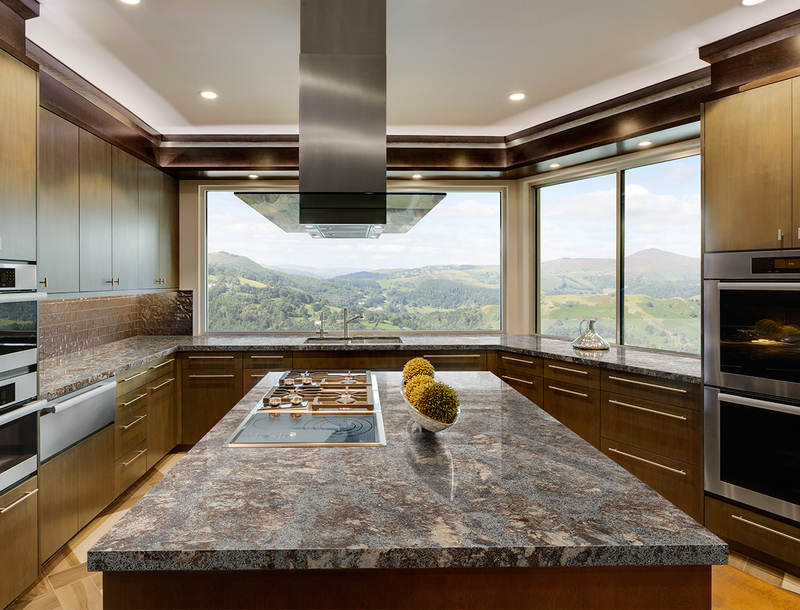 The Air Quality Sciences, Inc. tests have independently verified that your Cambria® natural quartz surfaces will have no harmful emissions of any kind. 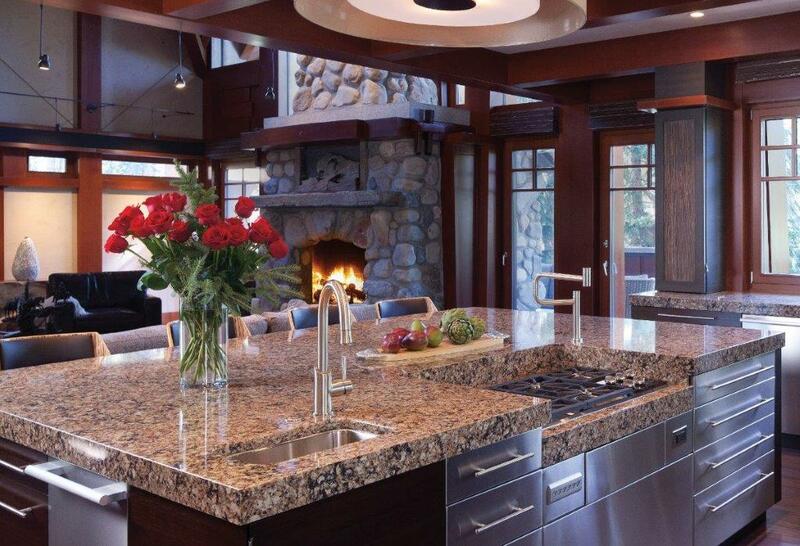 Look closer and notice the benefits of Cambria® over other stone surfaces. This beautiful surface adds attractiveness, toughness, and design which are only found in Cambria® natural quartz surfaces. Cambria®, the place to start your new home!